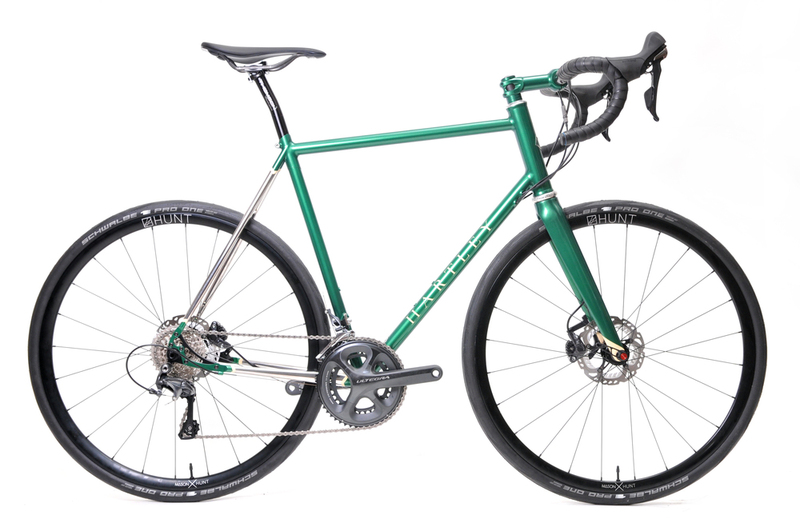 David came to us looking for a beautiful and comfortable disc equipped road bike. 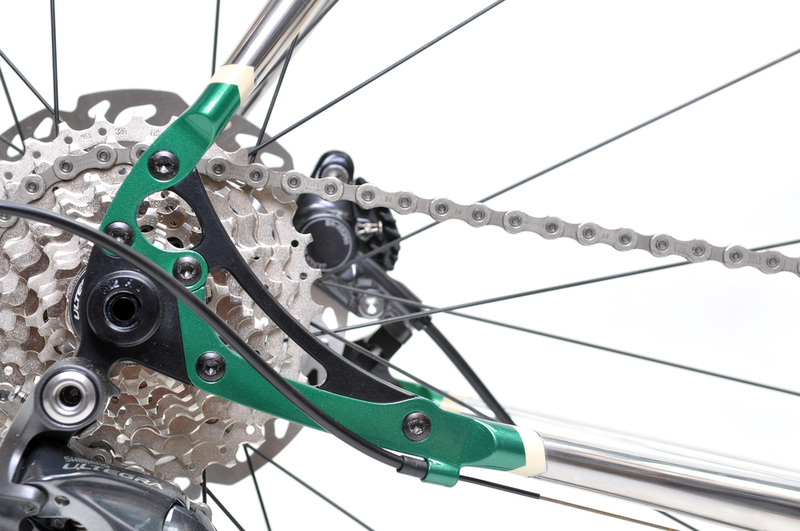 He wanted through axles for precise handling, and to future proof the frame we used Paragon Machine Works Polydrops dropouts with replaceable inserts, meaning should the axle standards change David's covered. The Ultegra Hydro groupset was the obvious practical choice for this bike; paired with some Hunt wheels and tubeless tyres for a fast rolling and super comfy ride. 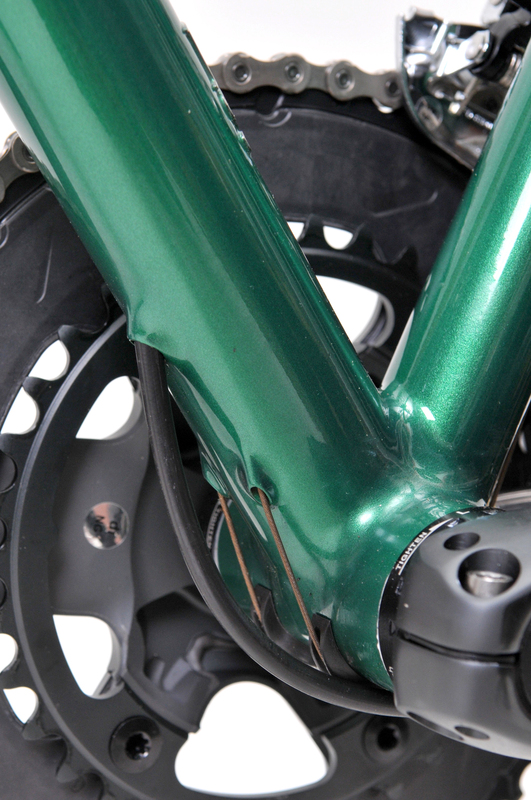 David wanted the the visual impact of bare stainless, so we went for a polished XCR rear triangle. To keep the aesthetic completely clean all the cables are routed internally and we chose the sleek Lynskey Pro Carbon fork to continue that theme up front. 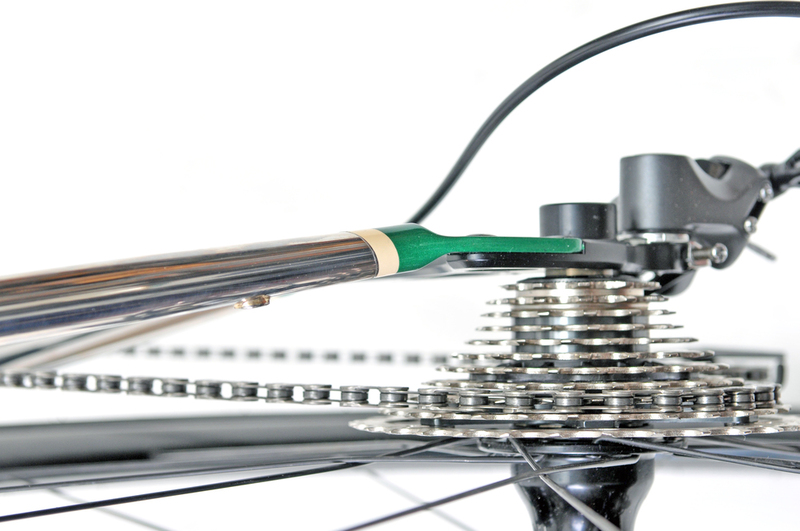 There are hidden mudguard eyes on the inside of the seatstays and the custom asymetric bridges. 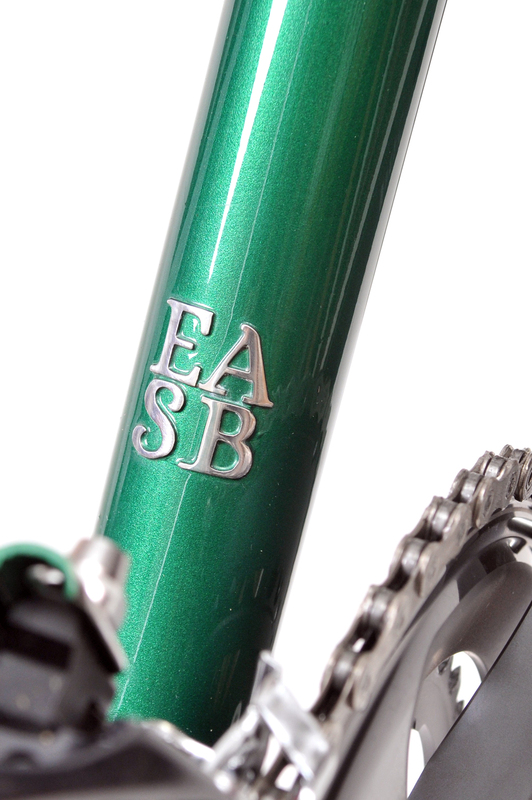 And there is a little custom details that make this bike really unique – namely the hand cut silver initials on the base of the down tube, the 4 letters are the first of each of his wife and daughters' names, so even when he is out riding they'll be with him! 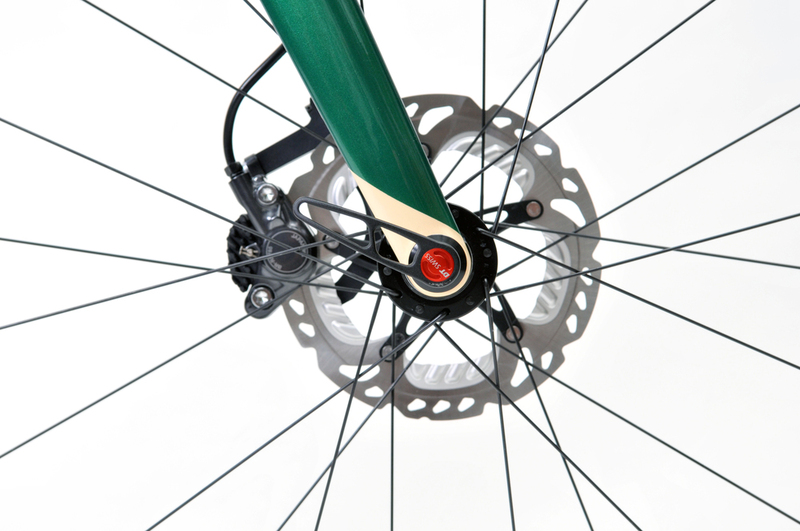 Frame: - Disc Equipped Road Bike with through axles front and rear. 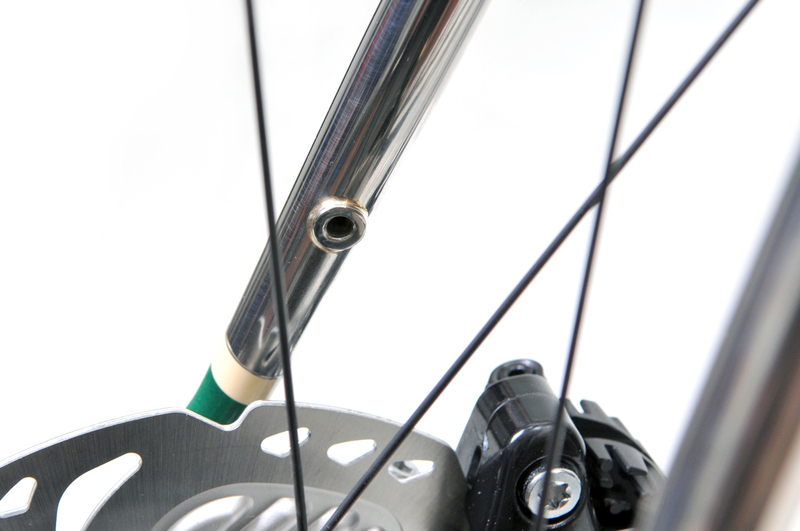 Tubing: - Columbus Spirit and Life main triangle with XCR Stainless Steel rear. Wheelset: - Hunt X Mason 4 season disc wheelset with Schwalbe Pro One tubeless tyres. 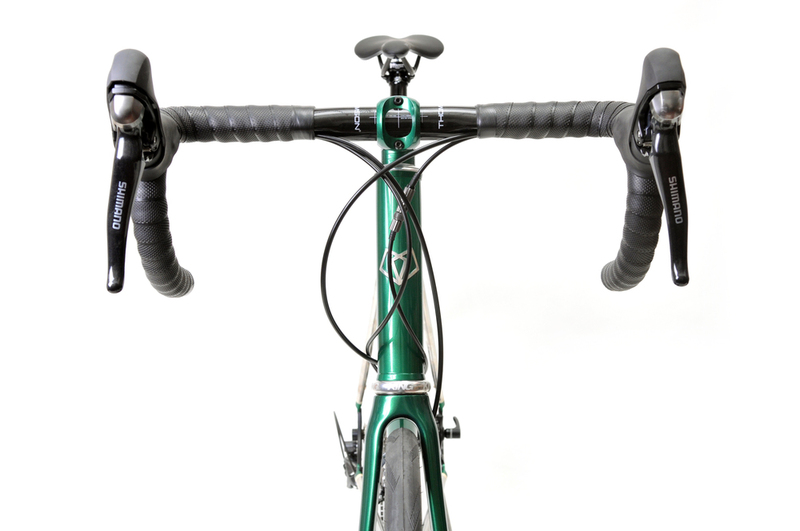 Finishing Kit: - Thompson bars, stem and seatpost, Brooks Cambium bartape, Fabric Spoon saddle. 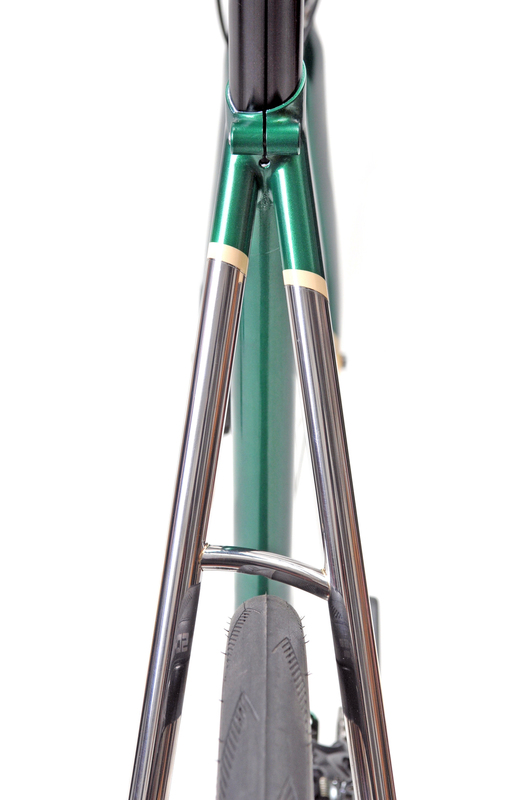 Paint: - Hand Spray paint by Hartley Cycles - metalic green with orange details. Details: - PMW Polydrops, hand cut solid silver 'EASB' badge. Custom asymetric bridges.